Samsung has kept a very low profile for this app – the Android Store entry doesn’t even say it’s their app (referencing Movl, who built it for them) – only making it available on Jan 3, 2012. Apple’s AirPlay requires an iOS device, and the Apple TV device (plugged into your regular TV), bought separately, in order to work. Even if you already own an iPhone or an iPad, you’ll still need to buy an Apple TV to get started with Airplay. Samsung’s SwipeIt, on the other hand, works with any Android phone, and the Samsung Smart TV, which you presumably already own. Indeed, in some respects, this is a more seamless experience, provided you happened to choose the right horses in the race. Actively ignoring iOS, or staying clear of Apple? If you have an iPhone and a Samsung TV (like I do), and you live in the US, you’re out of luck. The SwipeIt application is only available for the Android devices. Only available for Android devices? Interestingly, a screenshot on Samsung’s Korean page about SwipeIt does show an Apple logo – they seem to have made a clear choice not to ship the iOS integration. Samsung Korea's page on SwipeIt shows iOS support. So, what’s going on? Why have they excluded us iPhone owners from enjoying SwipeIt? I thought of three possibilities. Android and iOS version of SwipeIt. Bigger companies have used this excuse before. This would be a pretty suspect explanation, given Samsung already has a pretty sweet iOS app to control the Samsung Smart TV from the iPhone – so extending it to support SwipeIt couldn’t have been that hard. Samsung might also be betting that if they were to build this application for iOS, they’d definitely be rejected from the App Store, on grounds that the application tries to replicate OS functionality (Apple has a pretty well-established policies about this). In addition, they might tip their hands early on SwipeIt vs Airplay, a legal battle that’s certain to ensue. Or, could it be that Samsung is getting ready to battle Apple for the control of an end-to-end, vertically integrated media experience, with complete control of devices, operating system, experience and applications? Strategically, it makes sense for them to split the entire electronic ecosystem vertically – nudging consumers into buying all their devices exclusively from Samsung. Given how Motorola and HTC are hurting, Samsung just needs to nudge their customers towards Android, which will only strengthen its own strong hand. It might just turn out that there’s a pretty banal explanation – that Apple just hasn’t approved the iOS app yet. This sounds thin, given the explicit absence of the Apple logo from the application pushed out to the TVs, not just a missing app in the App Store. Samsung’s ecosystem – the first real competitor to the Apple ecosystem? So, is Samsung building an end-to-end device ecosystem to rival, and to compete, with Apple? They are already well placed on the Smartphone and TV end, and are quickly building competency on the Tablet front. Ironically, the one important hardware component that Apple has that Samsung doesn’t – the computer – is irrelevant in this new world of end-user centric devices. While Apple needs to support the Mac, and the Mac OS X – the primary platform for iOS development – Samsung, thanks to Android, can stay clear of the low-margin PC business. Samsung is correctly getting a lot of flak for copying Apple’s UI to the T – but their recognition that an Apple-like simple user experience (even literally so) is key – is significant. If they also recognize (copy) Apple’s ecosystem strategy, they might make for a significant competitor! I wouldn’t be surprised if Apple decides to acquire Samsung in, say, 2013. Like Apple, Samsung is vertically integrated, focussed on user experience (lawyers be damned), and running a good business. They even manufacture certain electronic components that Apple has to, grudgingly I’m sure, source. With Steve Jobs gone, I’m sure Tim Cook could make a pragmatic decision to make such a move, much to Google’s chagrin! Competition makes companies stronger, and even as an Apple fanboy, I hope Samsung continues to push ahead! This entry was posted in Posts and tagged airplay, apple, apple tv, faves, samsung, samsung tv, smart tvs, swipeit by amit. Bookmark the permalink. Pingback: Samsung to Debut Airplay Rival, SwipeIt at CES « Android Boy – Get the most out of Android! Why would you keep usIng a capItal “i” in the name? You can see In the pIcture that they us a lower case “i” In the name. It looks like SWIPELT. 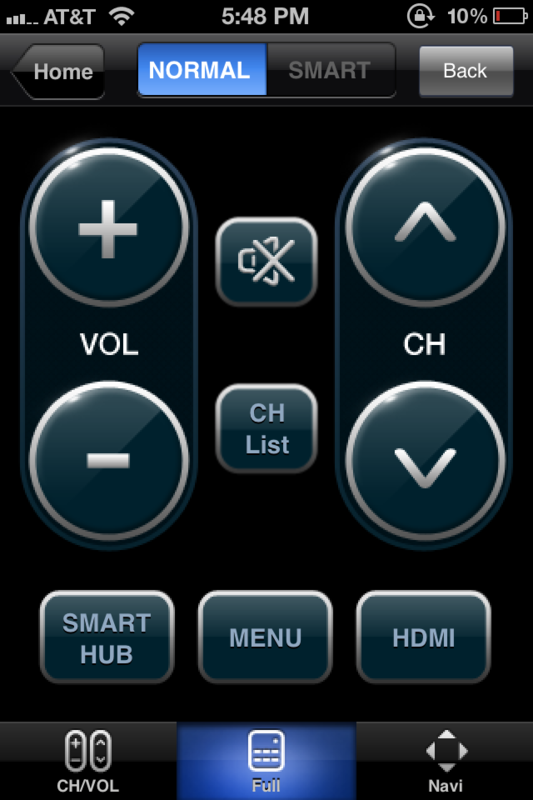 Give xbmc Eden a try. It’s free, it has air play. Could they have come up with a more perfect name than “Swipe It”? Right. No, wait, I have a SONY. I highly doubt that Apples Stationary computer business is low margin.. I have a new D8000 LED TV and I refute this. The TV’s software is slow, clunky and in many places simply does not work. Any device where you can simply type too fast – using a keypad and on screen keyboard no less! – is not concerned with user experience. And it’s inconsistent – simply choosing a broadcast channel is *difficult*! On some channel selectors, keypad up/down are reversed! Then depending where you are, the channel up/down keys have different functions. The web browser only works occasionally and is a bad experience after Safari on iOS. And don’t get me started on the bundled apps… in one app, renting a film is same cost as iTunes and yet pressing pause or trying to seek causes the app to crash, dumping you back at the start of the film! (not to speak of the awful quality of the video). I love the screen, but I am disappointed having paid double the price of a non-‘smart’ TV and expecting the same quality as Apple due to this premium. Actually, I agree with you completely. Samsung has its heart at the right place – but good intentions are not enough. Each time I press a button on the Samsung remote, I make a silent prayer to Tim Cook to deliver the Apple TV already. Amen. Actually, Free telecom (an ISP in France) provides all its subscribers with a set top box for your TV that can stream music (it does support video at the time) via airplay (it’s also a TV tuner, a DVR, a Blu-Ray player and can be used for Time Machine back-ups). This is admitedly a hack on their part, but it’s pretty cool nonetheless and I thought it was worth mentioning. Anyway, interesting article. 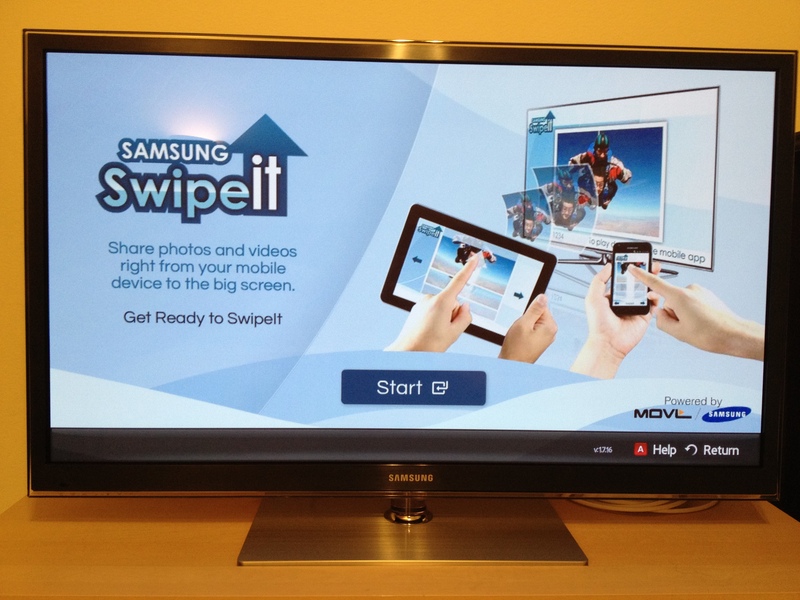 I looked at TV’s recently – I wanted one with a web browser, and samsung’s smart TV’s looked good. Unfortunately the price was not. On the one hand, it was a 40 inch Samsung smart tv for $2500 NZD… On the other hand, it was a samsung 40 inch regular TV for NZD $900, plus an AppleTV for NZD $170… Needless to say, I got the apple tv. The only downside was needing to jailbreak it, but if I hadn’t wanted the web browser, It’d have been sweet (and NZD $1430, which is ~$1100 USD)! ii) SwipeIt seems severely limited primarily due to (i) above — while Airplay allows native support for all app developers and provides a framework for developers to build on AirPlay Mirroring, SwipeIt will only work in limited settings. This is a HUGE difference, that honestly makes SwipeIt look small, not clearly pointed out in your argument. Oh and iv) staying out of laptops business doesn’t see like an advantage to me.. Mac’s are the lifeline of the ecosystem and frankly without them much of Apple’s inventions (iPod, iPhone, iPad) wouldn’t have taken off in the first place. Also it is not a low margin business for Apple! How can Samsung control the end to end experience if they don’t control the software/OS? That belongs to google and their interests and samsungs interests are ultimately not the same (though they may align transiently). Clearly Samsung doesn’t have the design chops to come up with an alternative UI (unlike MS or Palm) and they don’t build the core features. And it’s not like Samsung products are cheap. As the target customer for simplified end-to-end products, if I’m going to choose between two similarly priced products, I’m going to choose Apple because they have consistently shown me they know how to do this. Samsung has superb design teams in many disciplines which could and have come up with many different approaches to the industrial design and UI of their devices. They have made a business decision to closely align (copy) their products to innovator Apple. It’s worked out splendidly as they have received all kinds of free marketing from the resulting lawsuits from Apple and their devices are flying off the shelves. This lack of design innovation is endemic of many Asian manufacturers (though I suppose they don’t have a stranglehold on the practice). Amazon Kindle Fire is based on Android and Amazon has total control over it. Samsung can do the same if they feel the need. That’s the beauty of open source. So it doesn’t matter whether Google and Samsung share interests or not. AppleTV is not a requirement for AirPlay functionality. We can stream to our iPhones and iPads over wireless from a laptop, Mac minI or other Mac running iTunes. No AppleTV required. But I am looking forward to seeing Samsung’s next innovative product, the “WeStoleThisIdeaFromAppleToo”. Airplay is, of course, just a “copy” of DLNA, only without a specific manufacturer’s coupling. That AirPlay is held as novel given the thousands of devices that supported DLNA long before AppleTV is a mystery, and speaks to the zone of ignorance that surrounds most Apple products. Most current Samsung products already come with Allshare (a DLNA sharing app similar to those found on many HTC and Motorola products). With it if you’re playing a video or looking on images, you share to AllShare and voila, any DLNA presentation device in your home is available as a target. Or we can just go with the “they’re copying Apple” thing. Ignorant, but what the heck. Dennis, then why did Samsung feel the need to write SwipeIt — do you think? I know that uPNP and DLNA are technologies which do similar thing — but Apple provided easy-to-use and integrated experience across their portfolio of devices. For example, can DLNA do Airplay mirroring? AirPlay is a little different from “just a ‘copy’ of DLNA”. As a matter of fact, AirPlay is an evolution of AirTunes, which was a marketed function of iTunes and the AirPort Express in June 2004, which was the same month that the first guidelines for DLNA were announced. Not products. Guidelines. Additionally, AirPlay also allows for screen mirroring, which is not (yet) a supported feature of DLNA. So, yeah. There’s that. That would be a slam dunk but for the fact that DLNA is a *subset* of uPNP which has been around since the 90s. Ultimately the idea is obvious and few bother accusing Apple of stealing such an obvious progression, but it is profound overwhelming ignorance to claim the same of other vendors who have been pushing these sorts of initiatives for years before Apple “invented” it. Dennis, uPNP was there — but it is more complicated — its not as seamless and easy-to-use as Airtunes or airplay. Not many people used it. At least not the masses. There are dozens of upnp apps for the iphone — but nobody uses them (practically). This has gone back and forth. DLNA was an industry response to AirTunes, with other media added. There are certainly programs for both iOS and Android that already support DLNA. It’s not clear to me whether SwipeIt uses pure DLNA or some extension. If Samsung integrates this into the OS so that all programs inherit this, then they will clearly be copying Apple. If they don’t, then this isn’t as good on the device side. It’s probably better on the TV side, though, since presumably there is auto-switching of the video source. Uh, I’m going to echo those that don’t see your logic in the ecosystem construction. Having features available for only one particular brand of TV doesn’t make it nearly as wide-ranging as a simple add-on that works with *any* [modern] television. A 32″ Samsung Smart TV (the cheapest I could find on their website) is $900. If you want to use AirPlay, you drop $100 and keep your exisiting television. 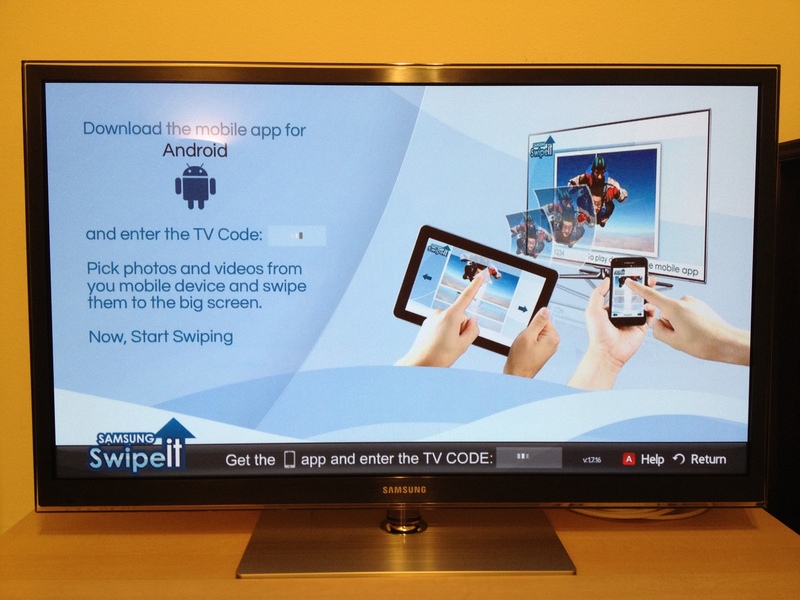 If you want to use SwipeIt, you have to replace your television for nine times the cost. If you want to enable AirPlay in multiple rooms (let’s say three), it’ll cost you $300, whereas the cheapest you can SwipeIt-enable this hypothetical house would be $2700. In a straight-up comparison, Apple’s potential reach is far, FAR greater. This is not a short-term play, but a longer-term one. We all know a real Apple TV, one with a big display, is coming. A few years from now, new buyers will either choose to buy an Apple TV (since they live in the iOS world), or a Samsung TV (since they already have an Android phone). TVs are very high margin products on the high-end, and are only bought once in a while, so it’s smart for manufacturers – Apple and Samsung – to focus on how to attract the new buyers, not the ones that already have TVs, and are unlikely to buy rightaway. In other words, Apple’s current AppleTV offering might net them $10 per customer that buys it, while a $1999 ‘real’ Apple TV might net them $1000. Instead of getting 100 tech-savvy people to buy an add-on device, it makes more sense to get 2 non-tech-savvy people to buy a ‘real’ Apple TV each. …I would agree, but Apple’s current system (an add-on versus an entire television) leaves plenty of room for them to expand to; these aren’t mutually exclusive concepts. Plus, the AppleTV (as it currently stands) is to bring value to the iTunes ecosystem, which is a greater value to Apple than strictly the amount rung up at the register. A hypothetical Apple television set (which I’m honestly not 100% sold on happening, regardless of what was said in Jobs’ bio) would make Apple some money on the hardware, sure, but its importance to Apple is applied to the value is adds to the overall Apple ecosystem (buy a TV show on your laptop, view it on your TV, iPad, or iPhone; buy a song from your iPod Touch and listen to it anywhere on any device). I know Apple usually plays for the high-margin, high-end market and works its way down (as evidenced by the once top-of-the-line iPhone 3GS now being available for pocket change), but with the AppleTV already in play, I think they’ve got a pretty good position to eat into the market from both ends. I can easily imagine Apple attacking the market in a way that would surprise everyone. Pingback: Samsung pushes SwipeIt media sharing app, AirPlay competitor to Smart TVs | tekifeed.com – Gadget Feeds, Gadget News and more! If you read the history of Samsung, you will see that Swiping is indeed in their DNA. “Swipeit” is exactly what Samsung has been doing first from Rim now from Apple since the. Their throw everything at the wall and see what sticks and if nothing sticks copy Apple is a really bad business model for the long term. Uhm, Samsung can’t possibly “integrate” that into the core of iOS, such that the “SwipeIt” button would appear where usually the airplay button does appear. So their app would be limited to… whatever they build into that app. Like streaming youtube to your TV. Doesn’t make too much sense for me. This is another instance of Samsung aping Apple in everything that they do. The list has now become too large. Perhaps thats why they are not putting their name in Swipelt app. 2. Samsung cannot deliver a product that matches Airplay feature on iOS devices. For mirroring, iOS not allow access to complete screen for an app running in the background — for security purposes. Also even it will not be able to show any video playing in any other app to the TV, since for it will need to change the default media player. In other words, Samsung cannot deliver an Airplay-like feature on iOS since it requires to be integrated into the OS itself. 3. I am not sure how you consider this as a more seamless experience. This requires Android phone + a Samsung TV. For Airplay, you require an iPhone + any TV (+ $99 Apple TV). 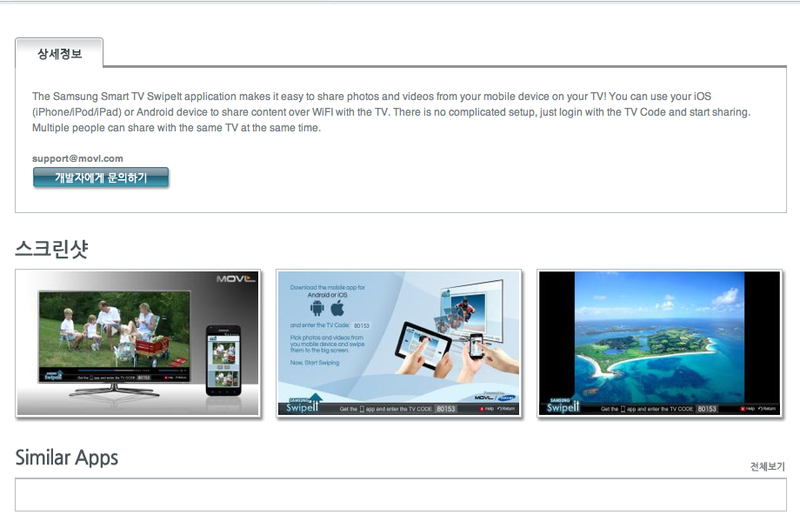 This will only be as seamless as an Airplay if it is available on any Google TV + default on Android. Also fragmentation issue for hardware support for mirroring feature, if added, will need to be solved. This is, at best, an unfortunate name for a product. It is doubly so if you look at it from the standpoint on Samsung “cloning” another Apple product. iOS App is for Apple’s approving that’s why is only available for Android Market. iOS App cooming soon. “Apple’s AirPlay requires an iOS device, and the Apple TV device (plugged into your regular TV), bought separately, in order to work. Even if you already own an iPhone or an iPad, you’ll still need to buy an Apple TV to get started with Airplay. How is this any different? Either way, you need to buy / already own a pair of devices. The advantage of Apple TV is that it’s $100. Almost everyone owns a TV already—in spite of dominant market share, not everyone owns a Samsung internet TV. Facts: one requires an iOS device, a $100 set-top box, and any monitor/TV with and HDMI input. The other requires an Android device and a premium television, with a premium price tag. I think it’s about where things are going, rather than the status quo. It’s likely that TVs will be first-class internet devices in the future, and whoever owns the ecosystem controls the dollars. True—although the current methods of interaction leave a lot to be desired. TVs are designed for, and really very good at, displaying content with minimal user input. They are not so good at interaction. No one has managed to solve that yet. AirPlay is a stop-gap at best. It’s frustrating—not for needing an Apple TV, but in the content it can/cannot display. Apple’s vision of device independent content has yet to be realised, and I don’t see SwipeIt doing much different. I think the big bucks will come not from the ecosystem (although that will help lock people in) but from whoever can solve the content everywhere problem, and solve it in a way that makes sense to the average consumer. The status quo is that connected TVs are far from being first class Internet devices, but it doesn’t look like things are actually going anywhere. As far as I know, there is still a huge amount of middleware platform disparity both inter manufacturer *and* intra manufacturer. That is to say that, although the platforms seem to be largely HTML and/or Flash based (as I understand it), not only are applications incompatible between different manufacturers but between sets of different model years from the same manufacturer—and, much the same as with Android, they have zero incentive to update older sets to a current version of the platform. Just looking at press releases about the rollout of the BBC News app, we see phrases like “…available on Panasonic’s 2011 line-up…” and “Sony to bring BBC News app to 2011 BRAVIA range…” that must be leaving 2010 range owners regretting their decision to jump on the bandwagon so soon. Most people replace their television far less frequently than, say, their phone, and I think it entirely likely that come 2015/16 all these 2011/12 range owners are going to be justifiably pissed off at having been left behind when they were urged to buy a connected set in the first place! And far be it for me to join in with the flogging of the foetal horse, but this is exactly why I don’t really think it likely that Apple will go into the television set business. Sure, they could release a revolutionary, disruptive product but four or five years down the line I suspect that app developers (as there surely would be) would either resent having to target older, less capable hardware or they’d just not bother, leaving customers resenting pretty much everyone. That’s just not a position any sane company wants to be in.